When you arrive in Windsor, stretch your legs with a walk through the Windsor Sculpture Park. A museum without walls, this unique park showcasing more than 31 large-scale, internationally recognized works of contemporary sculpture by world-renowned artists. Book a room at a downtown hotel, such as the Waterfront Hotel or Caesars Windsor, so you can walk to one of the area’s many great restaurant choices. Spend the day exploring EPIC’s wine region by bike with Farm Dog Cycles. 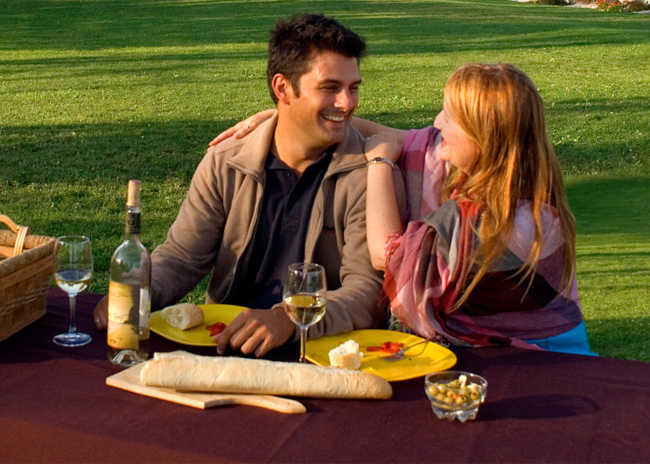 Farm Dog Cycles Tours are all individually customized to your group and offer half-day and full-day tours that include winery tastings, a guide, support vehicle, snacks and meals. Reservations are encouraged. That afternoon take the 90-minute ferry ride from Kingsville to Pelee Island (reservations recommended). Spend the evening at one of the island’s B&B’s. Pelee Places Bed and Breakfast and Luxury Cottage Rentals, The Wandering Pheasant or Wavecrest Bed and Breakfast are great options – but be sure to book in advance. Start off your day with a visit to the Pelee Island Heritage Centre for a fascinating look at the island’s human history. Take some time to explore Lighthouse Point Provincial Nature Reserve for an excellent opportunity to spot aquatic birds. A beautifully restored lighthouse, built in 1833, stands at the tip of the spit. Fish Point Provincial Nature Reserve, on the southwestern tip of Pelee Island, is another excellent place for birdwatching. 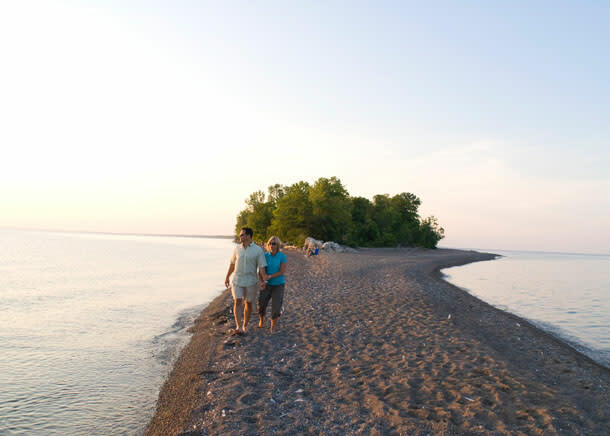 If you want an insider’s perspective on what it’s like to live on Pelee Island, book a tour with Explore Pelee and their local guides will show you all the secret magical spots of the island and give historical accounts of life in Canada’s most southern community. While on your own “private island”, why not experience Conorlee&apos;s Bakery & Delicatessen? Here you can sample a cup of their delicious Pelee blend coffee and try a cinnamon bun before you start your day touring the island. Offering a plethora of options from freshly baked bread, deli meats, and cheeses, to Pelee Island honey, maple syrup, sandwiches, soup and fresh salads, your island vacation is not complete without a trip to Conorlee’s.